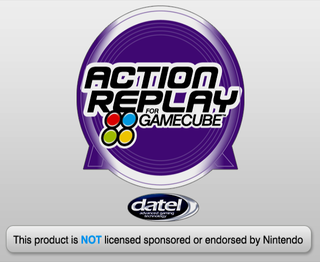 The GameCube Action Replay was originally announced in North America under the GameShark brand, but this never materialized as InterAct went defunct shortly after, leading Datel to market the device themselves using its original name. Present at offset 0xA0 of the 2007 variant of the Action Replay disc is a message from Datel, asking Nintendo not to block their product in future Wii system updates. A later Wii system update blocked Action Replay. The Japanese release of the 2003 variant has one less main menu option. Wii compatibility (until Nintendo blocked it). The notorious removal of the ability to enter your own codes. Integrated SD Media Launcher functionality.